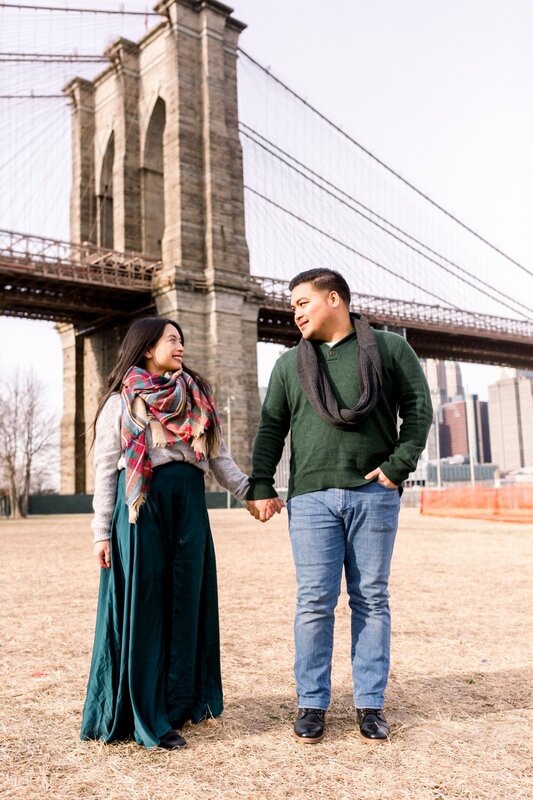 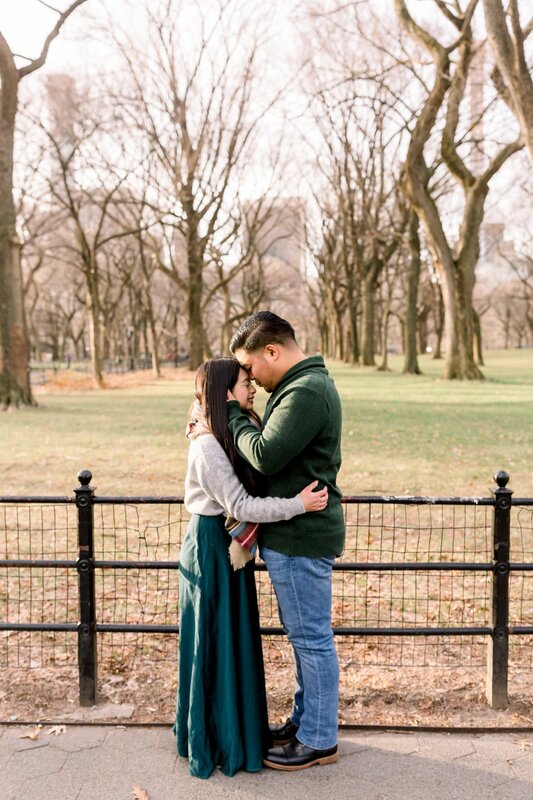 Centra Park Engagement Session + DUMBO! 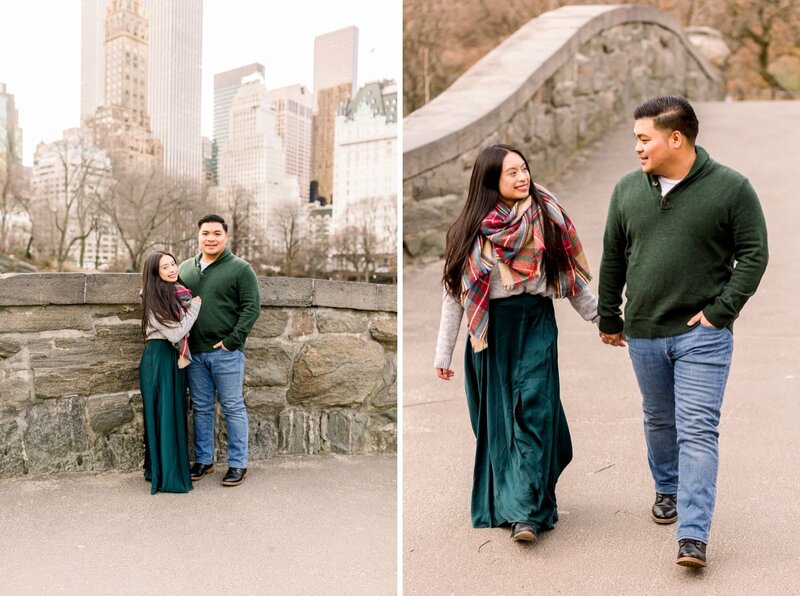 Most Central Park Engagement Sessions start super early in the morning for us, mostly to avoid the throngs of tourists and get the best light! 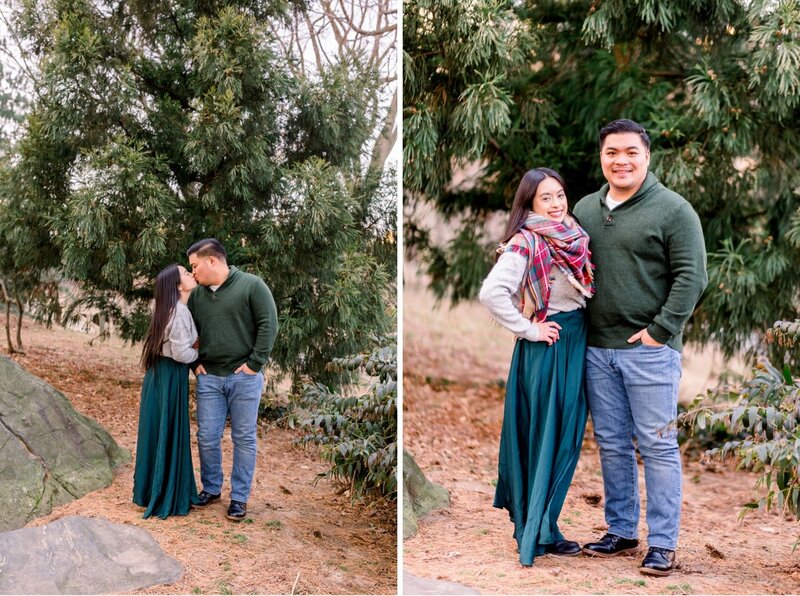 What Hazel and Jon didn’t expect was that it would be 26 degrees outside! 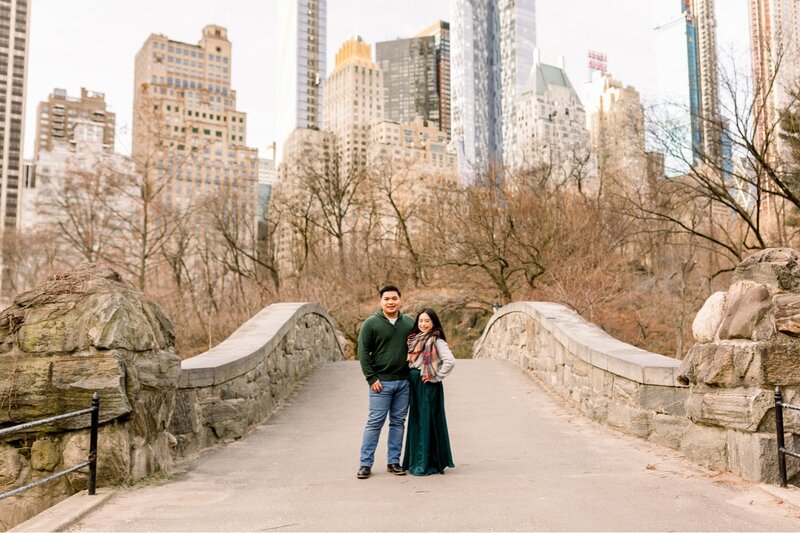 Neither did anyone else apparently, the weather can do that – but rain or shine, freezing cold, snow, or blazing heat – we make the best of any situation to capture the perfect photos! 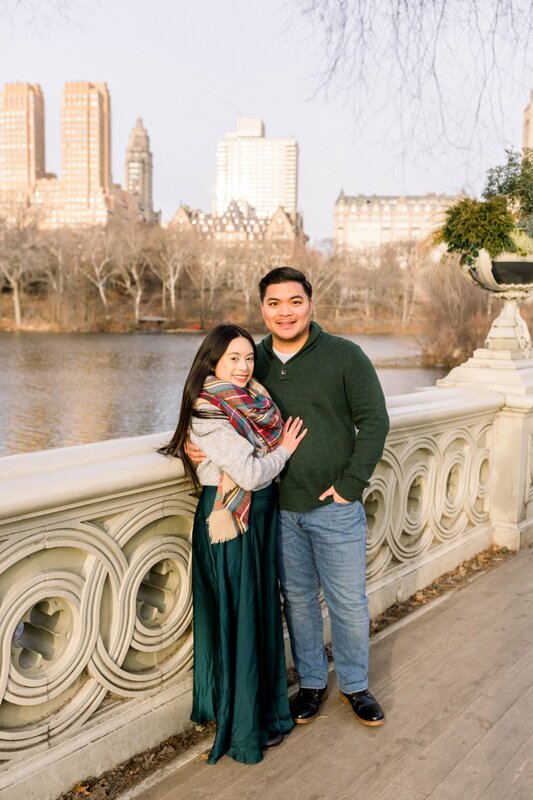 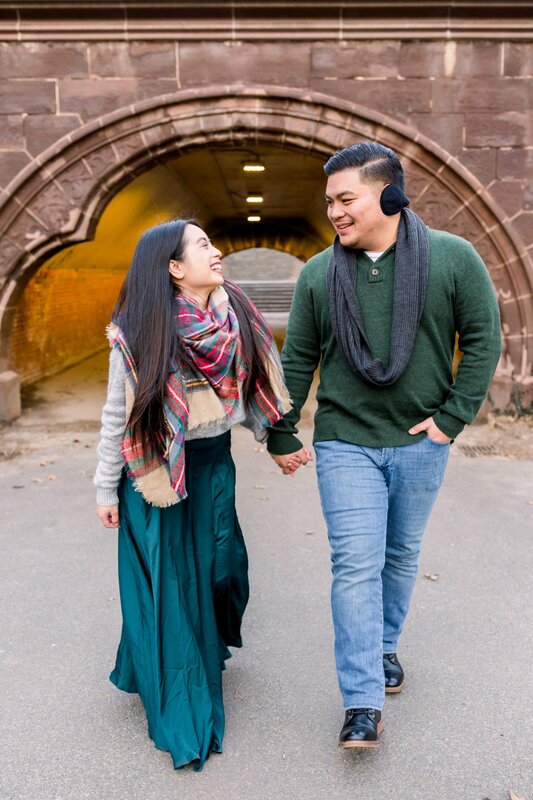 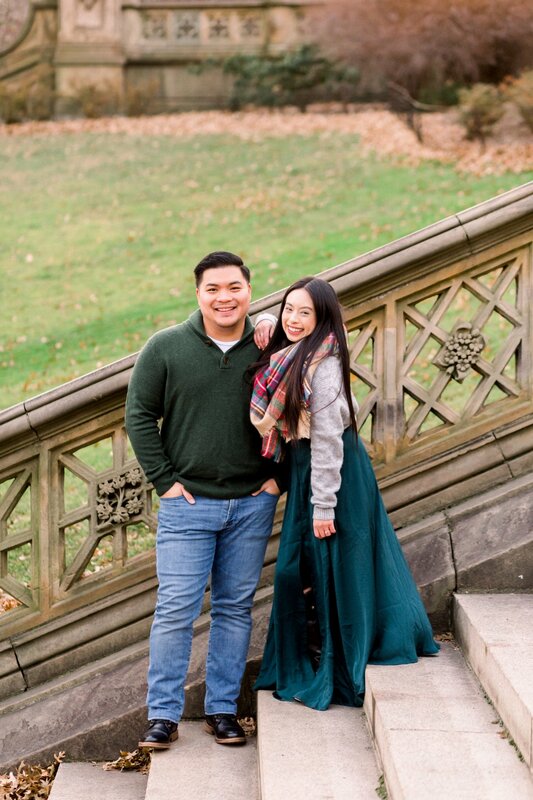 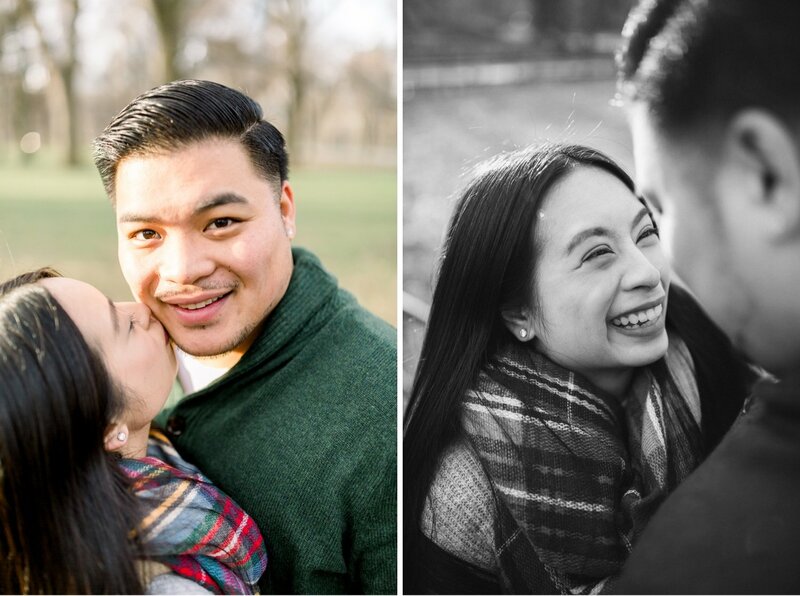 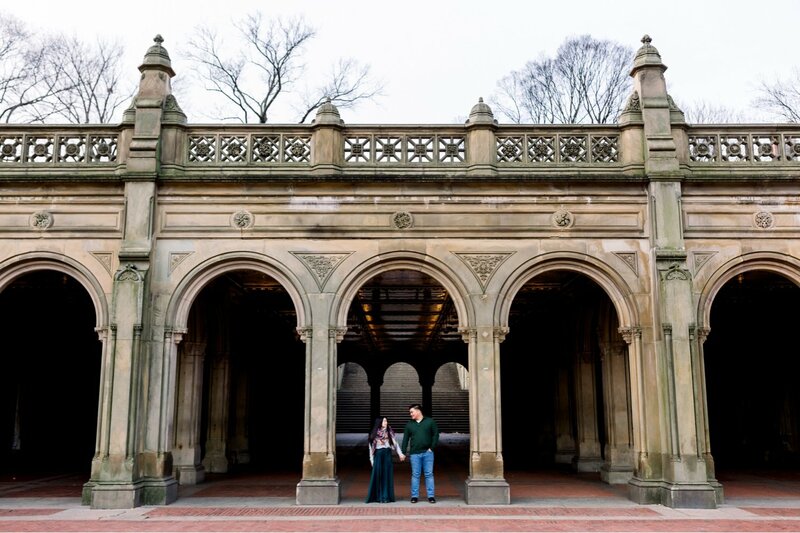 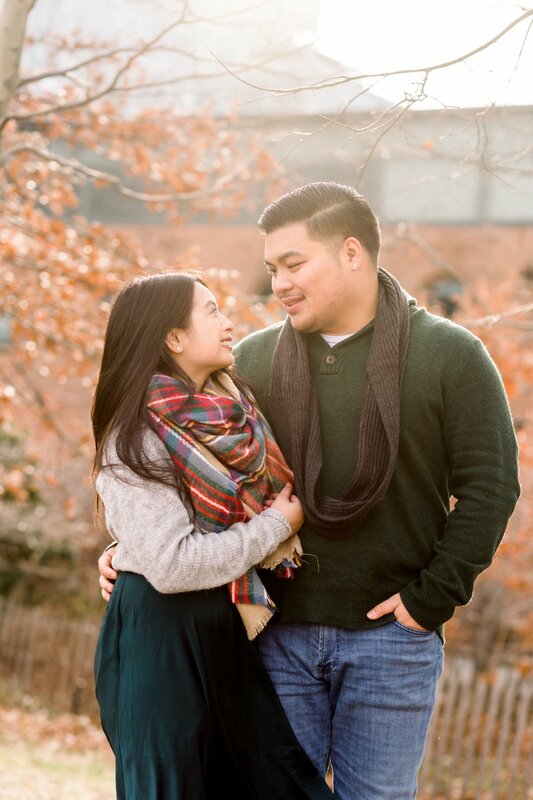 Hazel and Jon braved the freezing cold weather to make sure they could get the best photos possible for their Central Park engagement session. 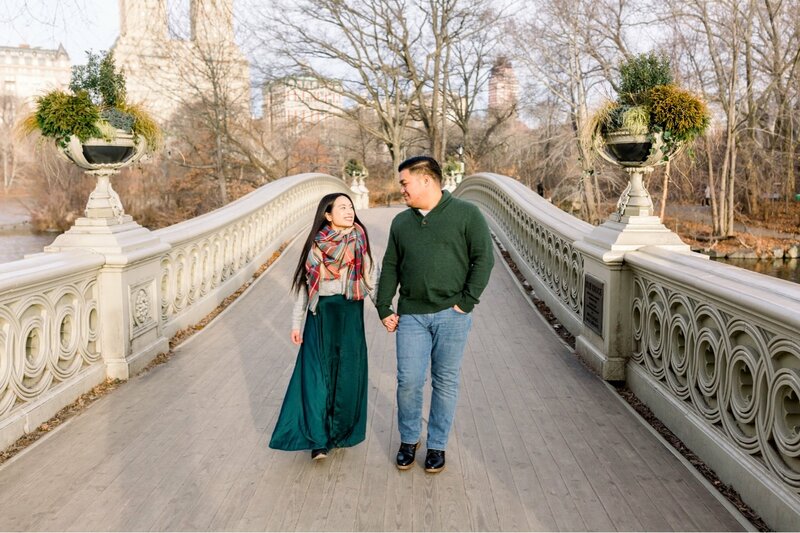 It definitely turned out to be incredible, we met at Bethesda Terrace and were able to make our way to the Bow Bridge, the Naumburg Bandshell, Gapstow Bridge, and then head toward DUMBO to finish! 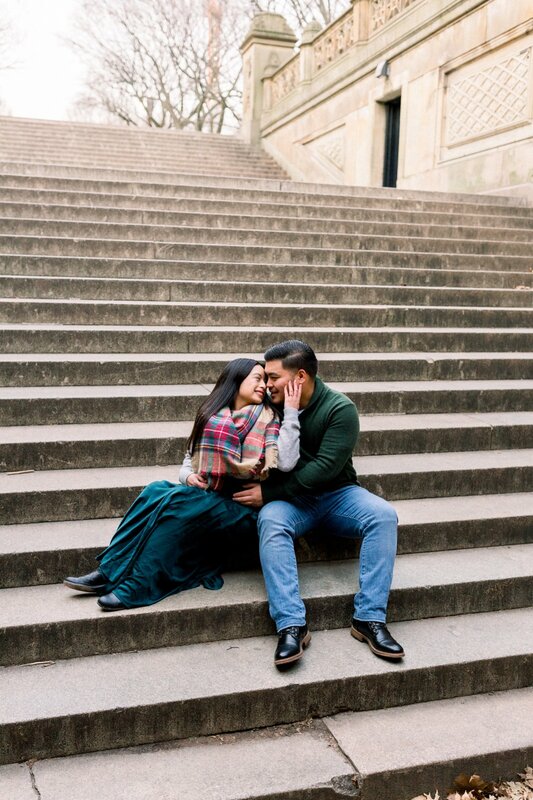 The result was definitely worth the time spent in the cold. 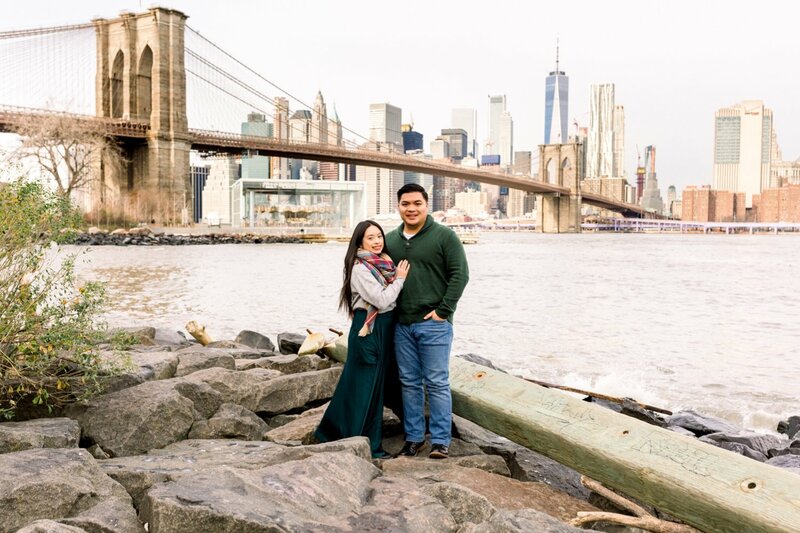 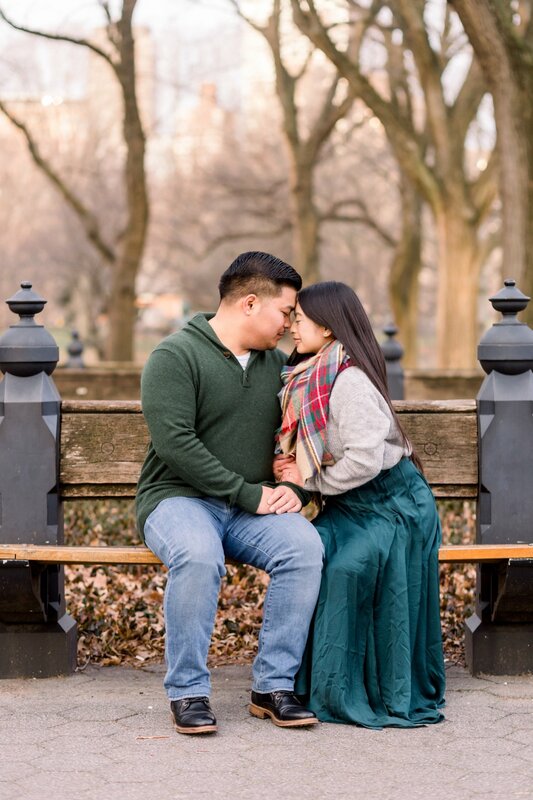 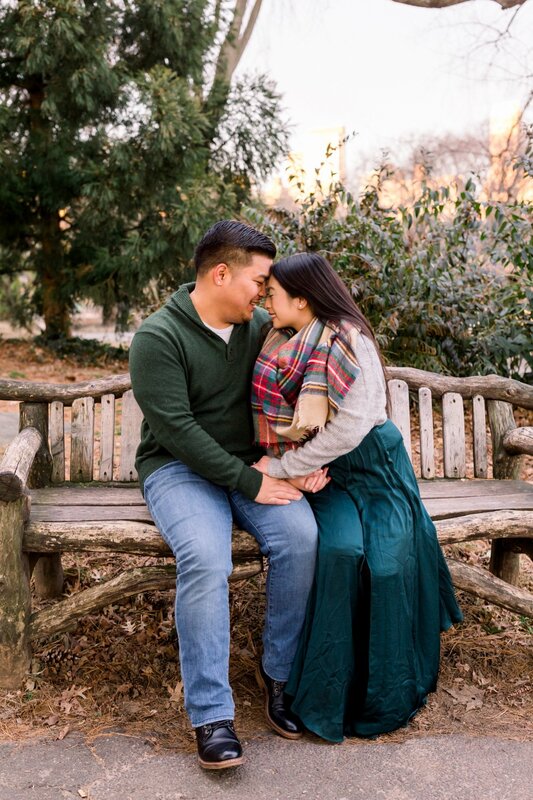 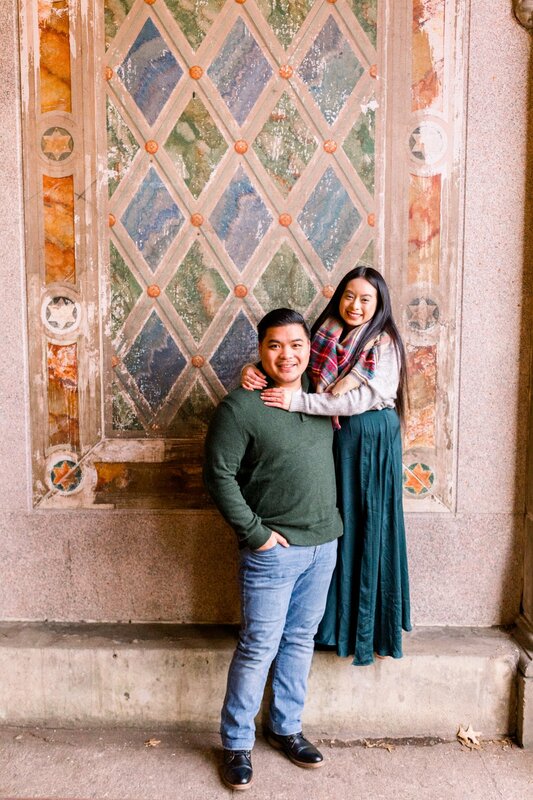 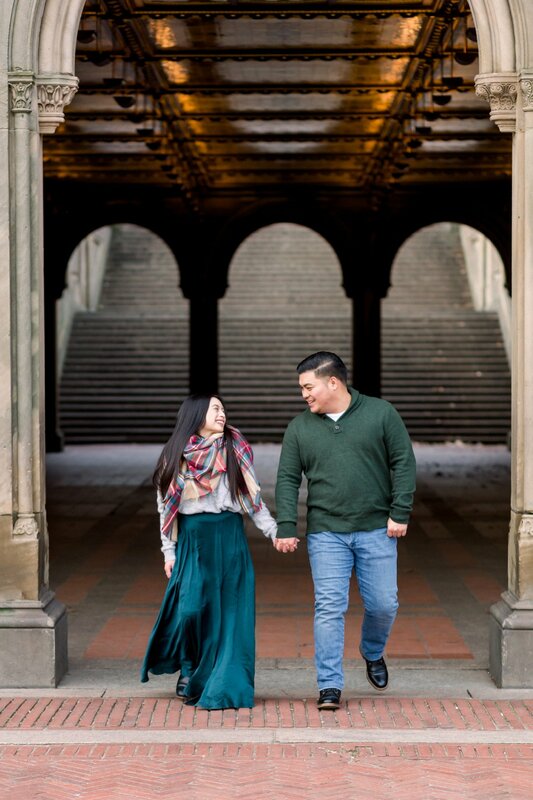 Check out the gorgeous session below and reach out to us if you have any questions about scheduling your perfect Central Park Engagement Session! 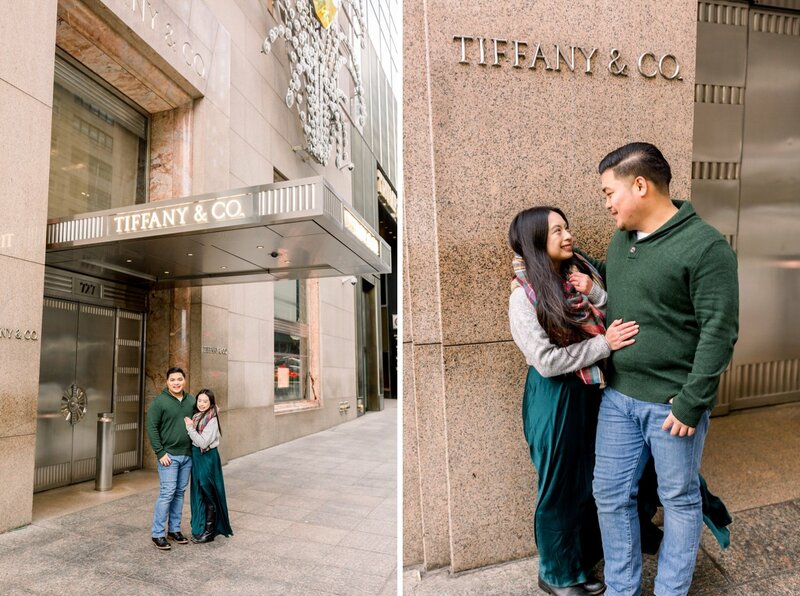 After our time in Central Park, we headed to the Tiffany & Co. store where Hazel and Jon had recently had a date at the famous Blue Box Cafe. 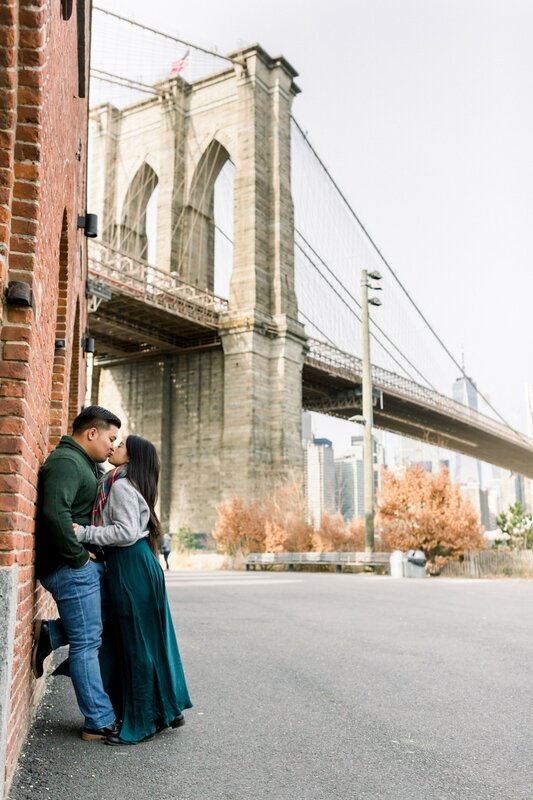 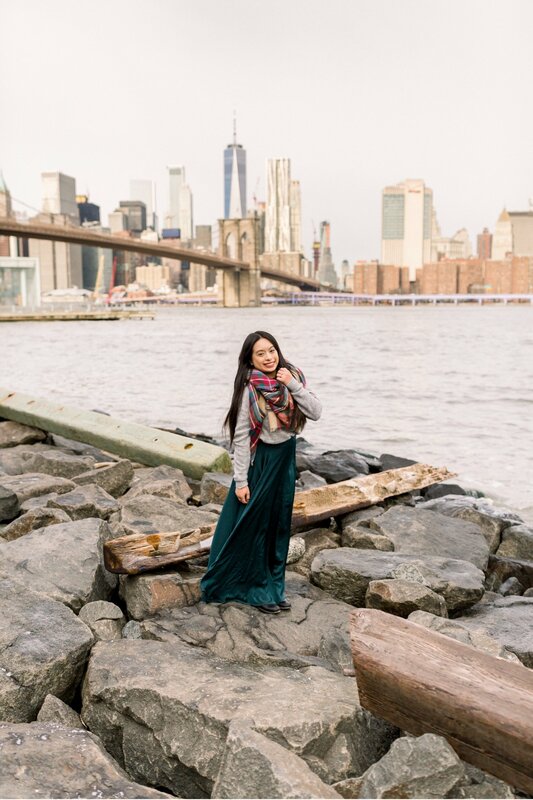 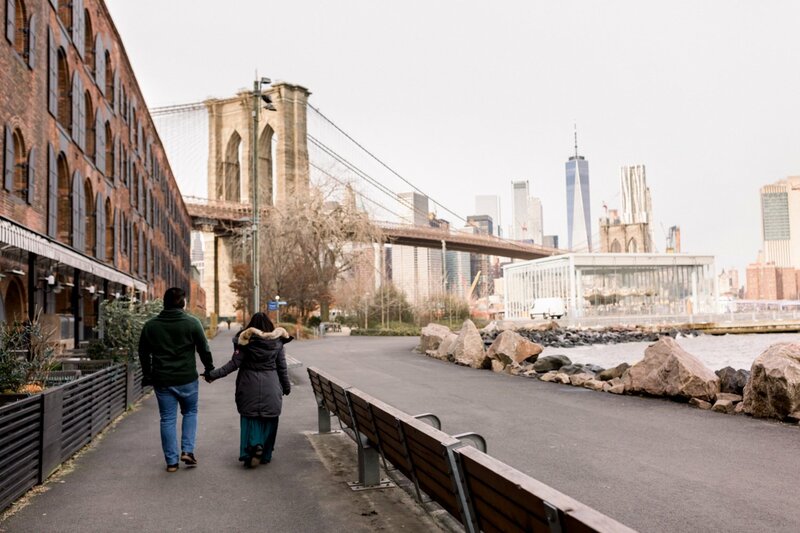 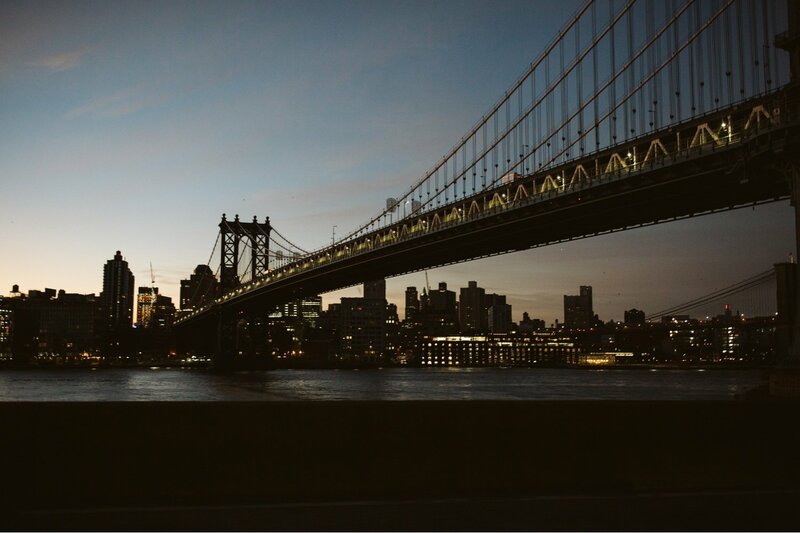 We hopped in an Uber for a quick ride over to the DUMBO area to finish up Hazel and Jon’s dream photo session! 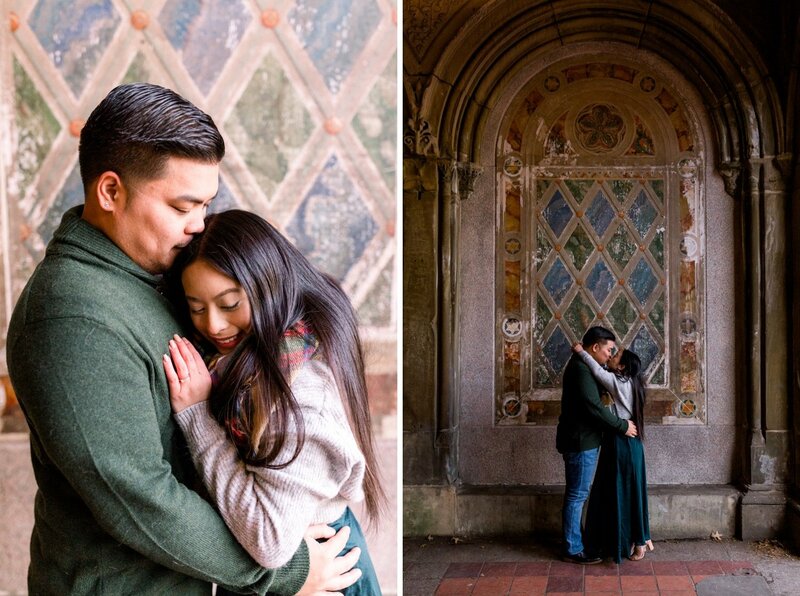 We love making sure our clients can have multiple locations in their engagement sessions. 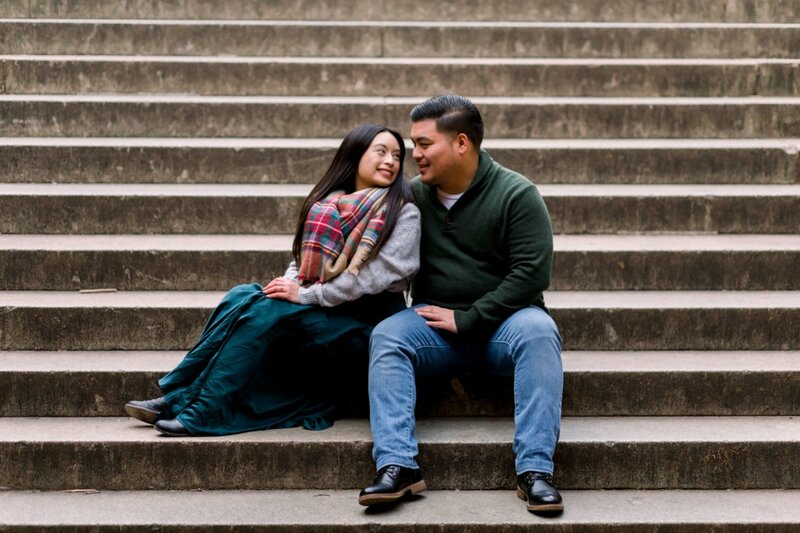  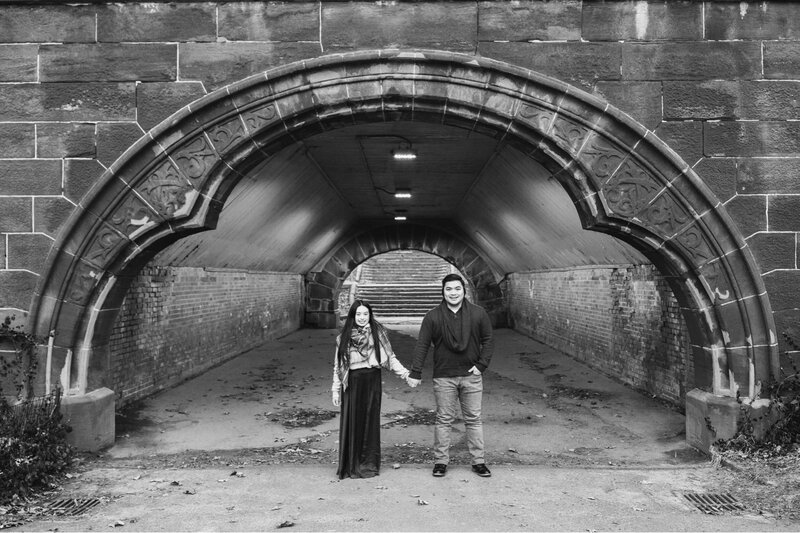 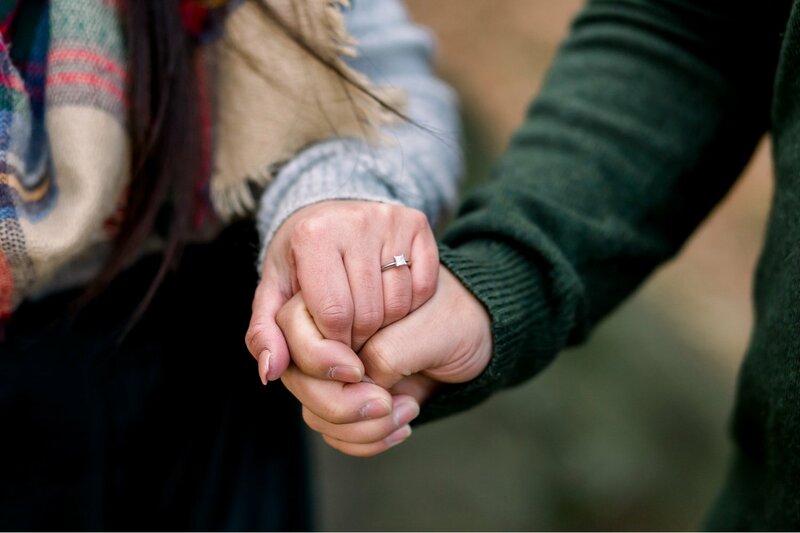 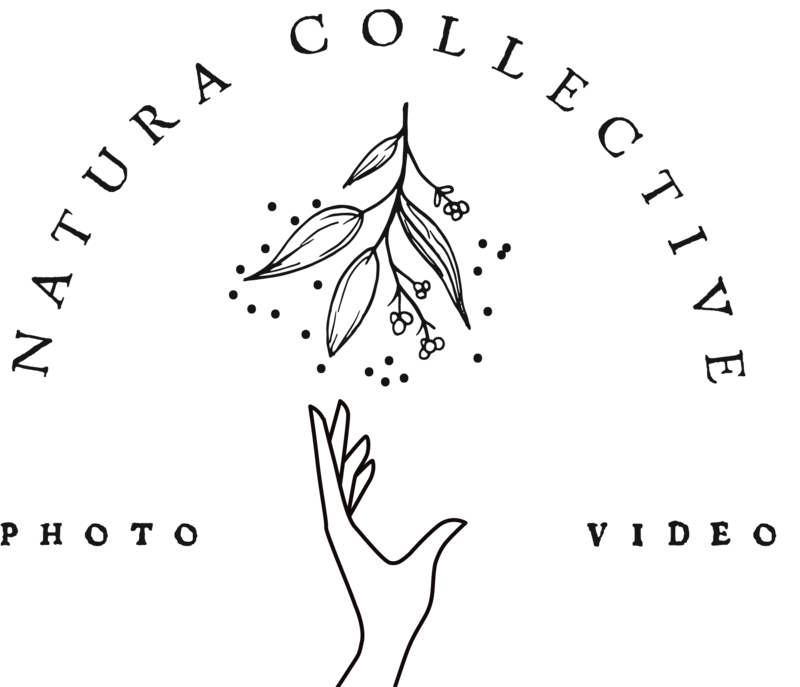 Shoot us an e-mail or visit the Book Us page to find out more about how you can schedule an engagement session. 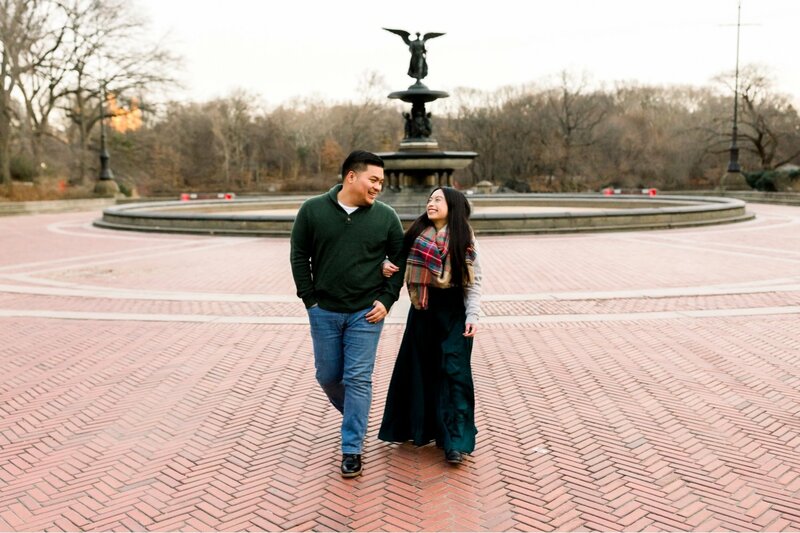 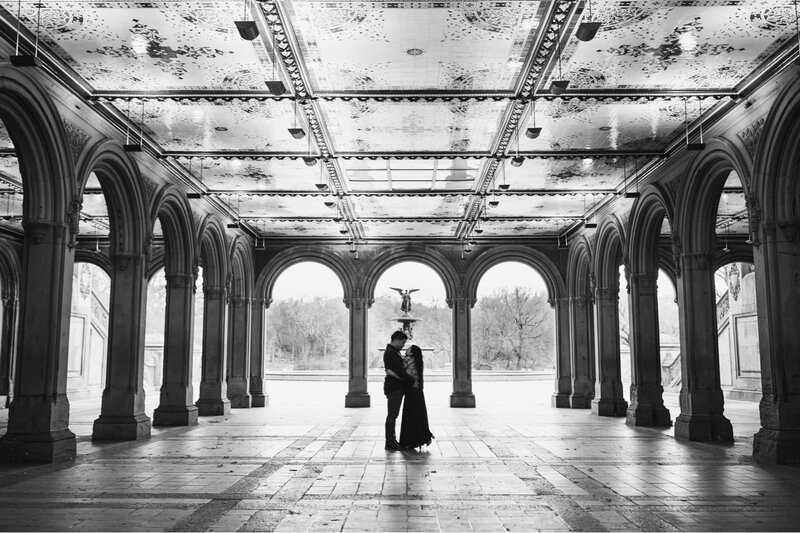 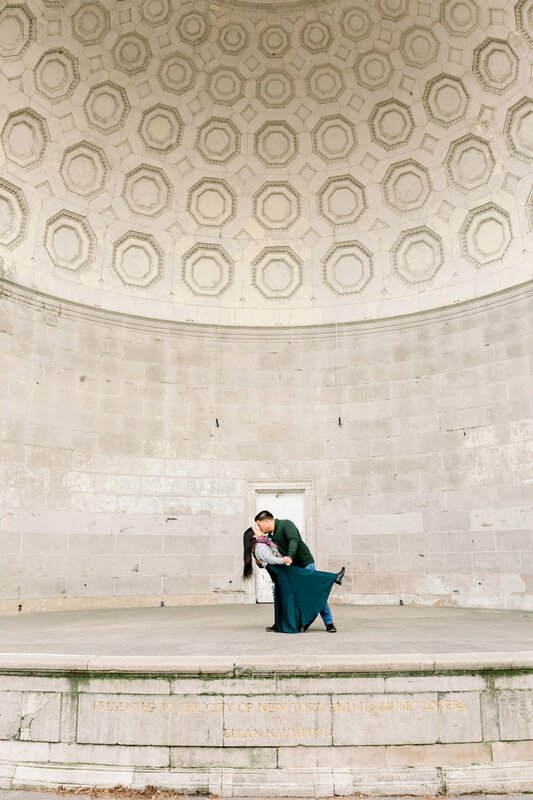 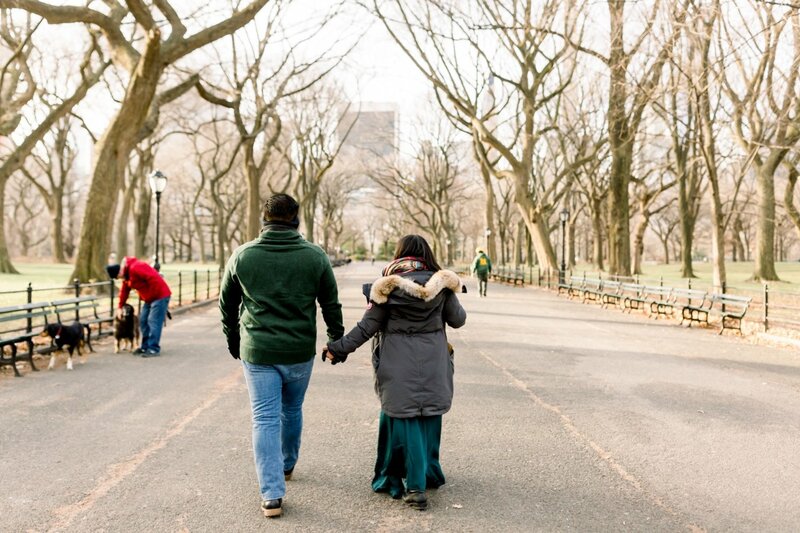 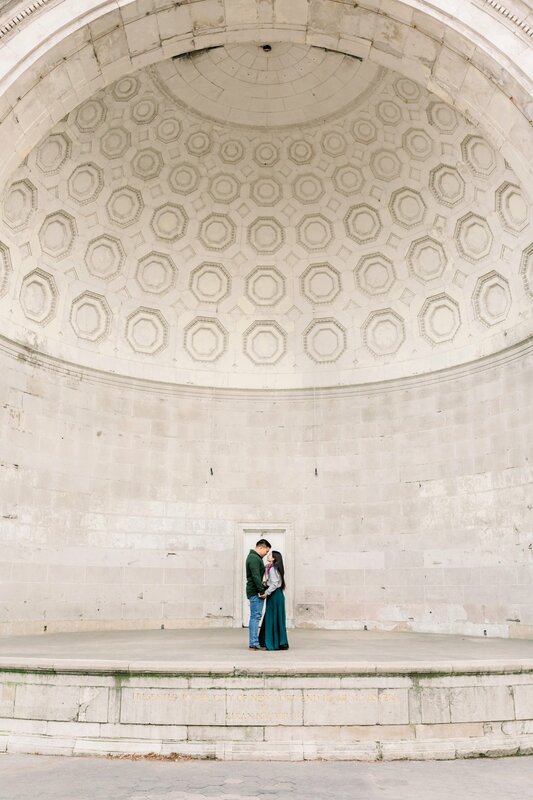 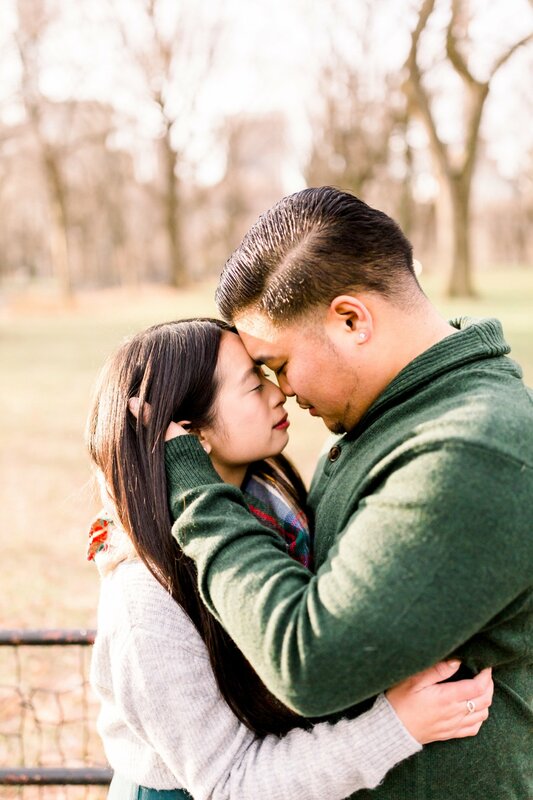 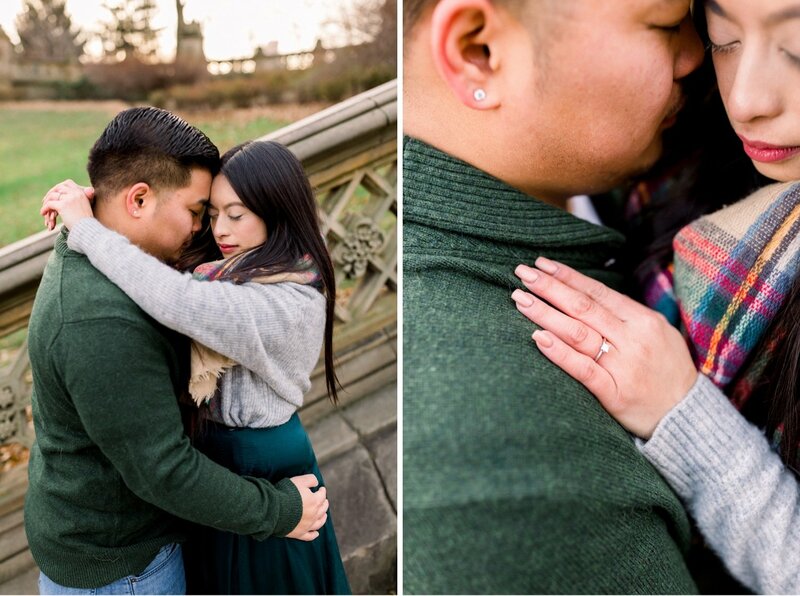 Click here to check out another central park engagement session (it’s on of our FAVVVVVS). 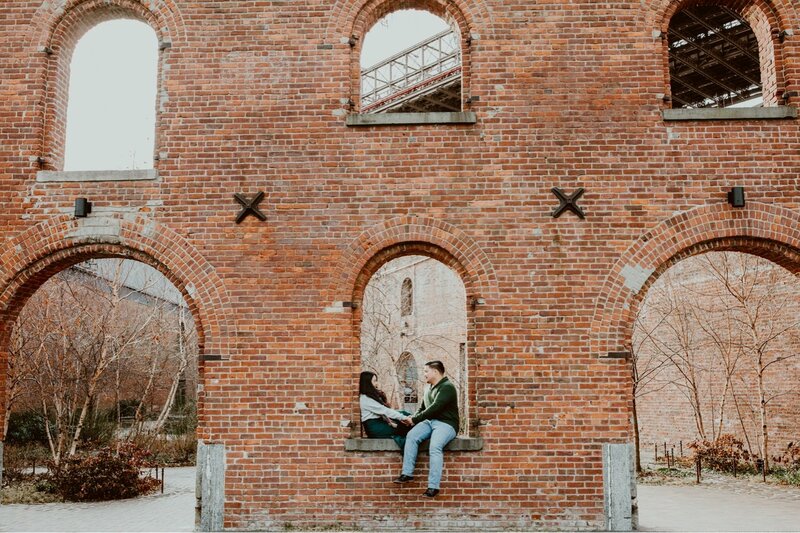 If you’re feeling more into DUMBO check this gorgeous DUMBO session out.